Anthony is a newly inducted member of the British Stunt Register, living in the London area. Anthony was born in Johannesburg, South Africa. Moving to the UK at about 4 years old, Anthony had your average middle class upbringing. He was fortunate enough to have had the opportunity to travel to some amazing countries and was actively encouraged to play sports. He had a natural inclination towards martial arts and has studied Shotokan Karate for over 15 years. It was whilst watching a Jackie Chan movie ‘Rush Hour’ and a TV series called Stargate SG-1 at the age of 12 that he first thought about becoming a stunt performer. He was lucky enough over the years to meet two very accomplished stunt coordinators in Dan Shea and James Bamford who were willing to give advice and encouragement on pursuing this career path. At the age of 21 Anthony started to train to become a member of The British Stunt Register. Trying to fit in his training around a full time job, other commitments as well as a couple of major injuries has meant it has taken a huge amount of time, determination and will power to keep moving towards his goal. Along the way he has met some amazing people and has expanded his interests in to acting and live performance. He has also picked up skills over the years by doing stunt specific courses in Australia at the Australian Stunt Academy, advanced driving at Silverstone Rally School and others. 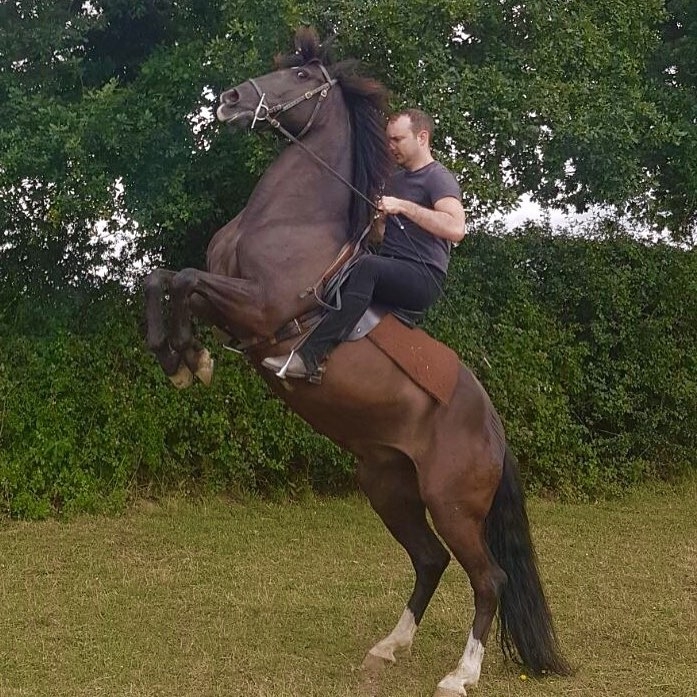 All this determination finally paid off in January 2018 when he was finally accepted onto The British Stunt Register. However none of it would have happened without the support from his family throughout the years of training and during those times of recovery. For that he wants to thank them from the bottom of his heart.